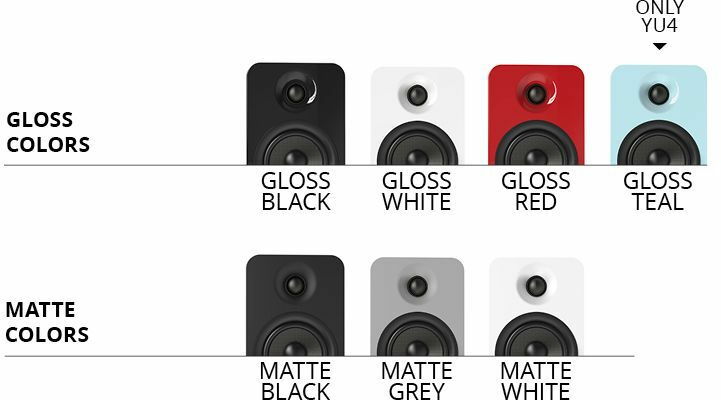 Picking the perfect pair of speakers to go with your new or vintage turntable can be trying. Do you need an external phono preamp? Will you have to make space in your setup for another piece of equipment? YU4 and YU6 make selecting your new speakers a breeze. With a built-in phono preamp and integrated Bluetooth™, your setup will be clean and clutter free. It’s as seamless as walking in after a long day of work and hitting play. Or pouring a glass of fine wine, putting on your favorite vinyl, and lounging on the couch with your best friend. The only tough part is picking a colour and finish to match your décor.